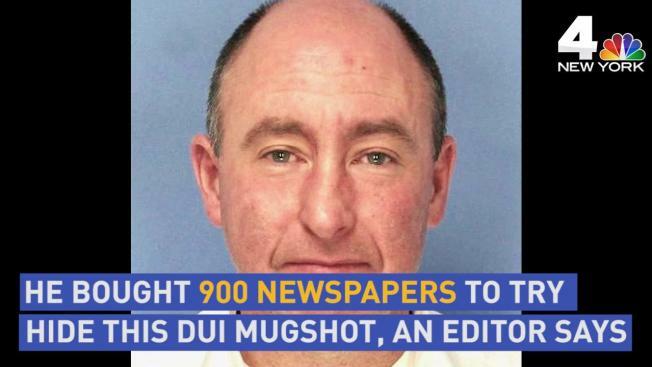 The owner of a weekly upstate New York newspaper says a man bought hundreds of copies of the publication in an unsuccessful effort to keep others from reading about his drunk driving arrest. State police arrested 43-year-old Joseph Talbot last Thursday in Wayne County and charged him with driving while intoxicated. Police also charged him with refusing to be fingerprinted or photographed after he told troopers he didn't want his mugshot in the paper. Ron Holdraker, editor and owner of the 12,000-circulation Times of Wayne County, says the paper obtained a mugshot from the county jail and printed it along with a story on Saturday. Both were posted on its website. Holdraker says Talbot bought nearly 1,000 copies at $1.25 each. A message left at a number listed for Talbot wasn't returned Tuesday.